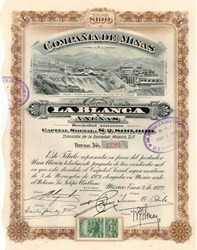 Beautiful engraved bond certificate in nice condition from the La Blanca Mining Company, Mexico dated 1922. 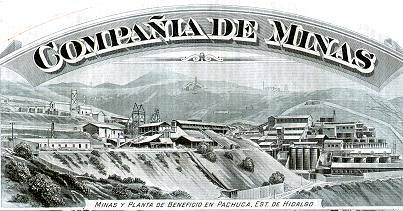 This historic document has an ornate border around it with a nice period vignette of an a mining operation on the side of a hill. This certificate is over 77 years old and looks terrific framed. It also has over forty coupons attached to it. This will make a nice addition to your collection or a great gift for someone special.